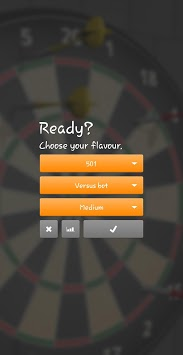 Many variations of darts exist, though the most commonly played version is 501. 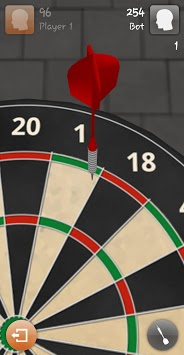 The correct placement of a fixed dartboard is 5 feet 8 inches from the ground, with the bullseye being the point of reference. The proper distance between player and board, from toeline to front of board, is just over 7 feet 9 inches. According to the Professional Darts Corporation, each team (or individual player) starts out at 501, with the goal of working their way down to zero. Teams alternate taking turns, with each turn consisting of three dart throws per turn. At the end of each turn, the total number accrued from the three darts thrown is subtracted from 501; the bullseye is worth 50 points. The catch, however, is that in order to win, the final thrower on the team must reach zero with a double. That’s to say, if the team has 20 points left, the final thrower must hit the 10 twice. 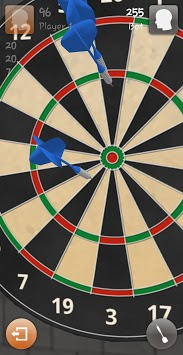 For odd numbers, the first dart must be used to change the number to an even (example, starting with 25 and scoring 5 points), then the doubling on the last two throws. Some variations of the game call for a “double start,” which incorporates this final process at the beginning as well. This is referred to as the “double in, double out” rule. Whichever team hits zero first wins. If neither team gets to zero in 20 turns, the team with the lower number of points wins. If the scores are tied at 20 turns, 10 additional rounds will be played. At 30 rounds, if the scores are still equal, the match concludes with a draw.